Since 1882, Clark University has been on the cutting edge of challenging convention and changing our world. Recently been ranked the 66th “Best Colleges” and 32 in the list of “Best Value Schools” by U.S. News and World Report, Clark needed to re-energize their website and create a digital experience that was intuitive for each of their core audiences. The real challenge came in redesigning and developing a fluid website that was capable of communicating the true texture of the Clark experience and ultimately, what it means to be a Clarkie. 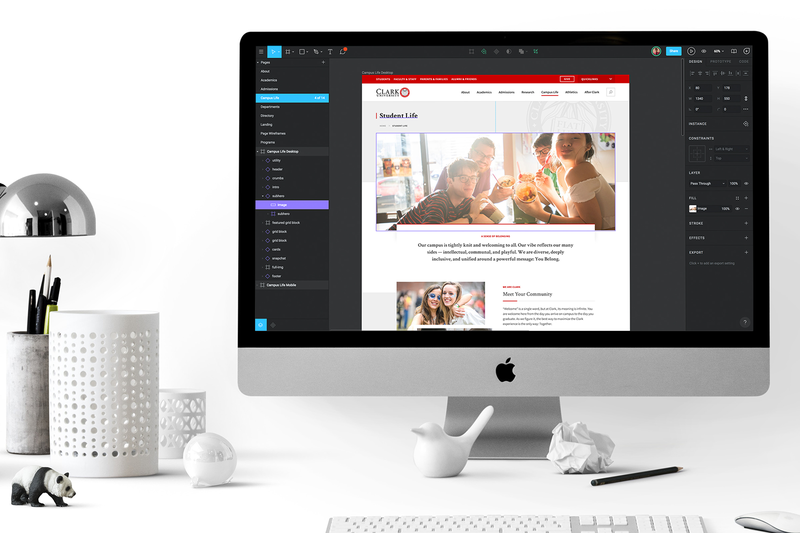 Another huge catalyst in Clark’s redesign was their desire to transition their CMS from Drupal to WordPress – a need that was identified for a multitude of reasons, but mostly because of three simple variables: ease of management, flexibility and cost. Above all, Clark needed the ability to seamlessly integrate new functionalities as time, need, and technologies inevitably unfold. 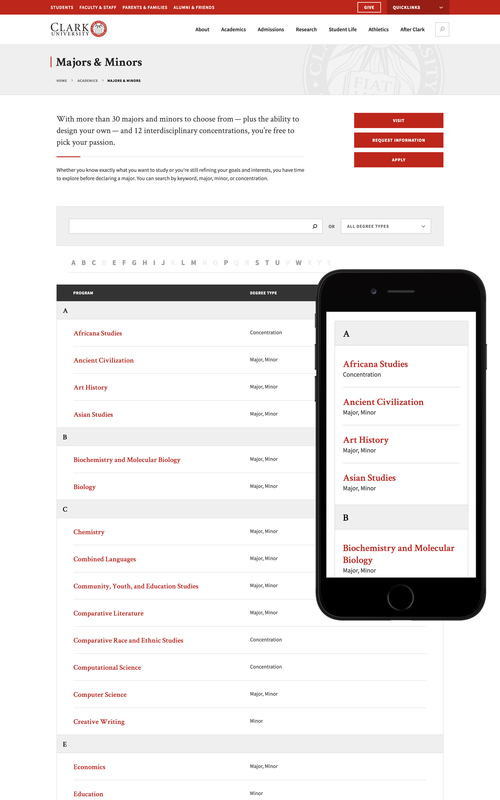 We helped Clark University tell their story through a dynamic, engaging and robust “mobile-first” online experience. Typically, our initial step in any project is to conduct a comprehensive strategic discovery process. Because Clark already had lots of valuable data yielded from similar research that was still recent and highly relevant, we led with an abbreviated discovery process to help set up the design and development process. During this phase we carefully reviewed, synthesized, and extrapolated key themes from existing information before moving onto the UX and UI portion. After a comprehensive site audit, peer evaluation, and examination of desired core site attributes, we were able to uncover everything we needed to make a formal project recommendation. 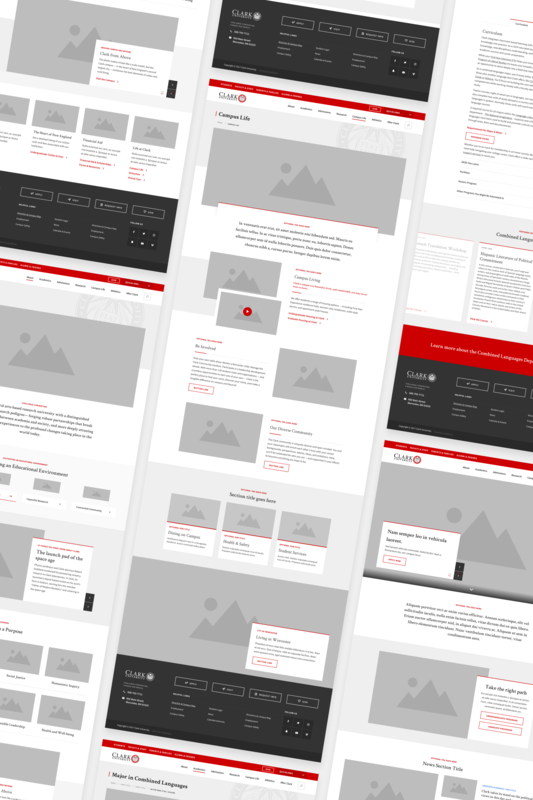 For Clark, this meant defining site architecture, producing a visual sitemap, producing wireframes of defined pages, and finally, translating it all into a design system. 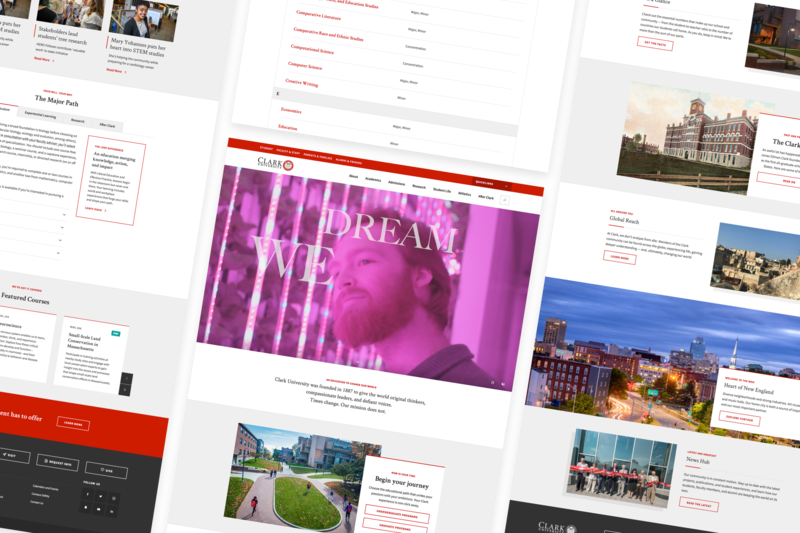 Drawing upon key elements of Clark University’s already established brand standards, we worked intensively with their Marketing & Communications and IT departments to design a site that was intuitive, simple, and bold. Using the ‘less is more’ mantra as our guiding light, Clark’s new navigation system is inviting, crisp, and highly intuitive — even for non digital natives. We relied on the agile development process to fabricate a highly customized storytelling platform that would allow for ample flexibility by content managers. 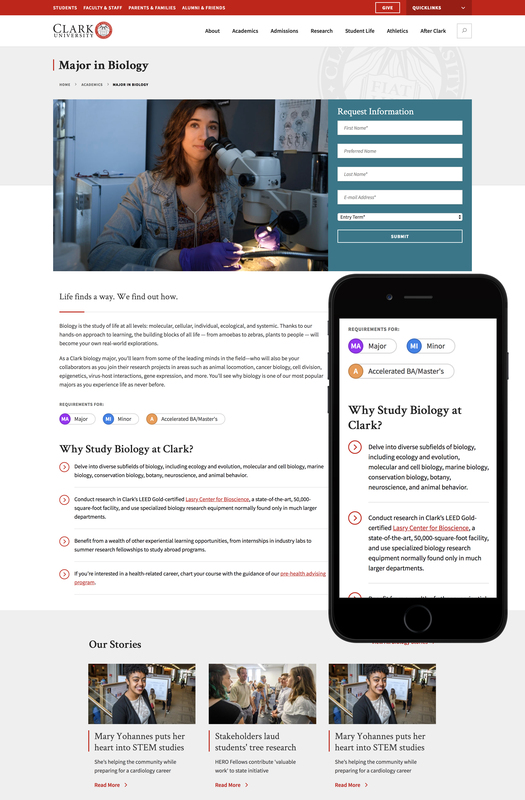 Catering to the distinctively unique needs of the Undergraduate and Graduate audiences, Clark’s new site was designed to accommodate a range of strategic objectives, including the integration of various content vehicles. We developed a multi-site infrastructure to keep user and content delegation as streamlined as possible, affording Clark a ridiculously simple workflow.